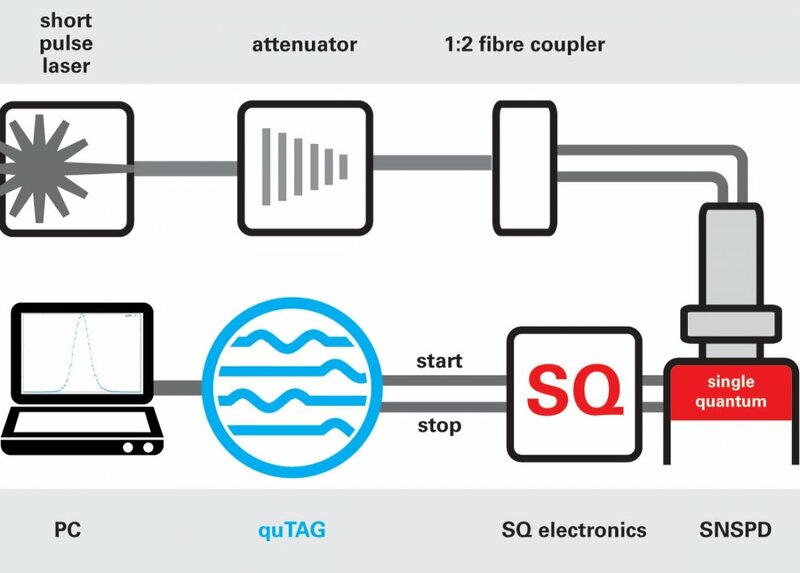 The quTAG is a high-speed Time-Correlated Single Photon Counting (TCSPC) system. 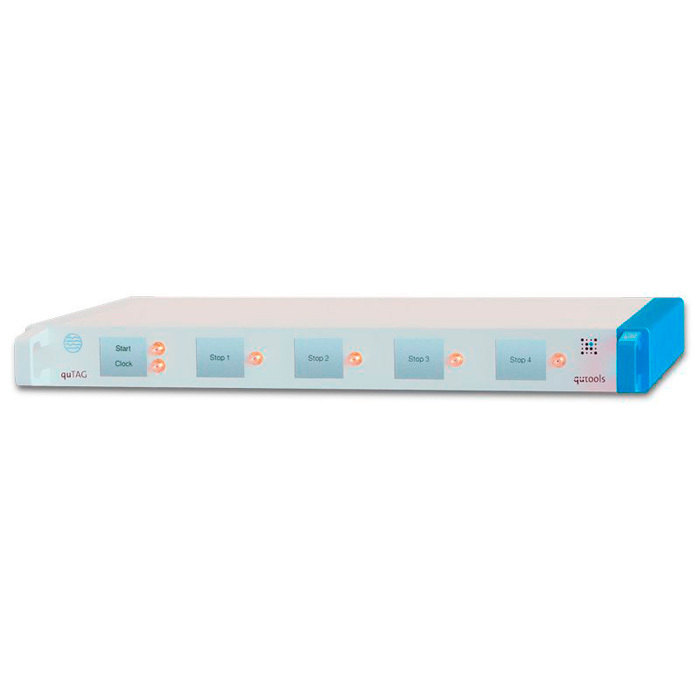 It is capable of detecting events with a digital resolution of 1 picosecond (ps) and a jitter under 10 ps RMS using four to 16 different channels. 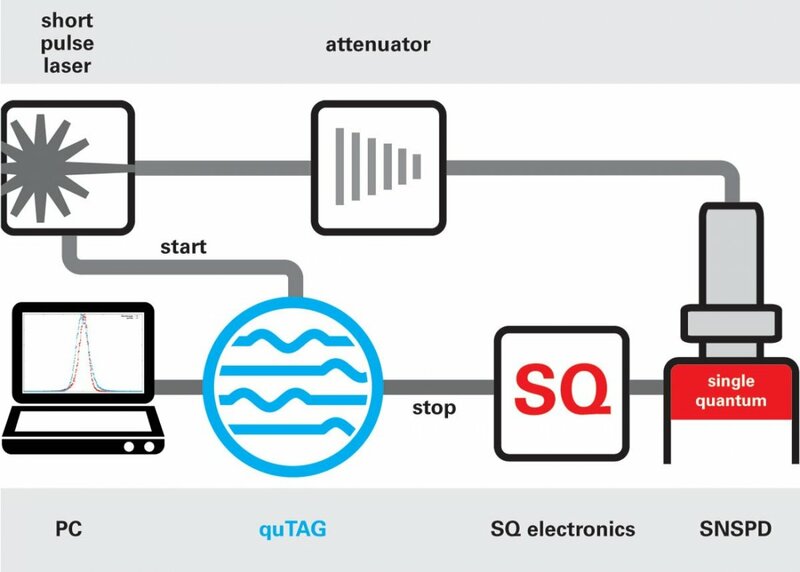 This allows it to capture up to 100 million time tags per second. It registers all signals between -2 up to +3 volts, like the widely used LVTTL or NIM. Separate channels for start and external clock are usable on the front panel. It connects with a computer via USB, preferably USB 3.0, to transfer the extensive data. It is delivered including software for Windows and Linux with an easy to use graphical user interface. DLLs and examples for LabVIEW and Python also are included. 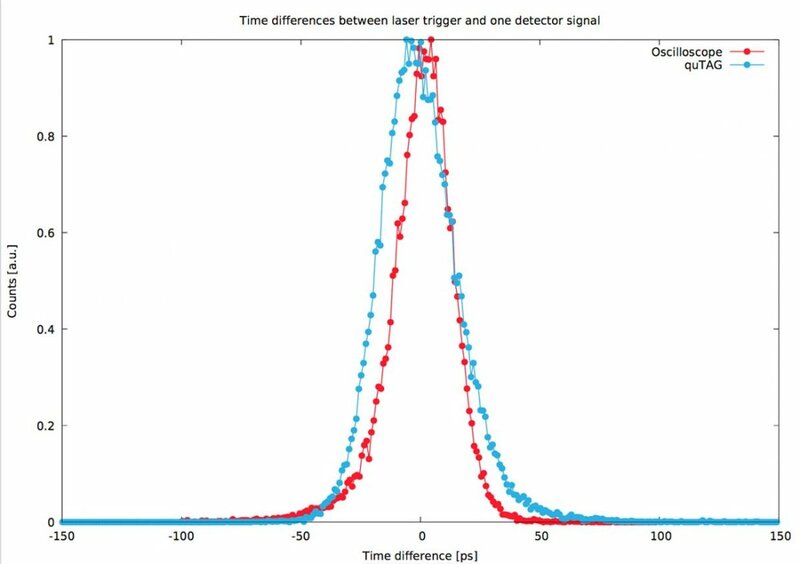 Whole system response function (blue, measured with quTAG): Timing jitter 17.8 ps RMS, 35.9 ps FWHM. 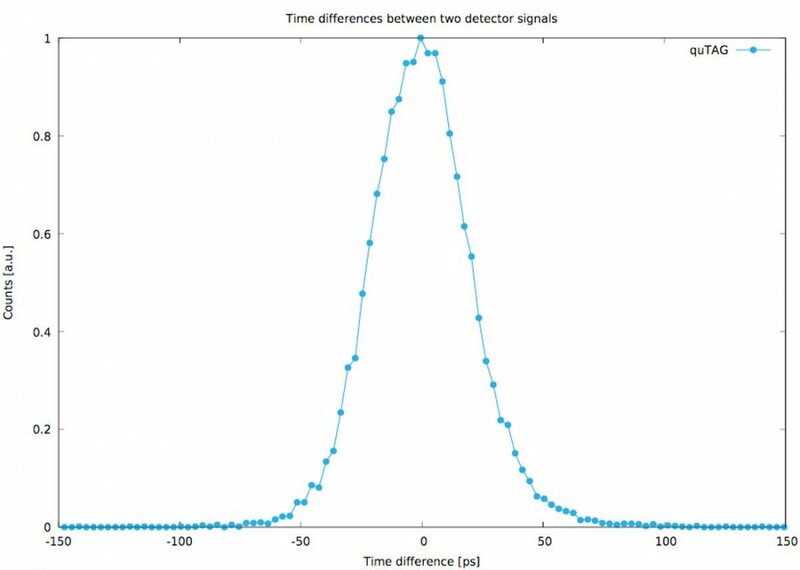 For comparison: Detector response function (red, measured with fast oscilloscope): Timing jitter 14.5 ps RMS, 26.1 ps FWHM.